1. 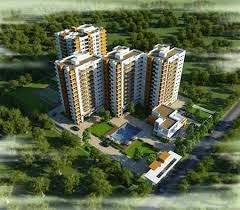 Invest your hard-earned cash in comes promoted by renowned developers having proved journal. Don’t glide by shiny brochures or attractive advertisements. Don’t believe the words, ‘Financial establishments approved Projects’. 2. Check up the documents with a Senior Advocate. Make sure that the documents of title of the property you propose to get are clear. Defective title can produce issues at any purpose of your time. 3. Continually choose a property, that contains a resale worth. 4. Make sure that the building has been made as per the sanctioned arrange and any deviation is inside the allowed share and it's not during a low-lying space or during a crammed up water body. 5. You’ll continually rope within the services of a reputed land agent and fix his commission well earlier. 6. Purchase the property during a developing space. The worth of land can appreciate. 7.If you like a ready-to-occupy Flat, find it off the most road on a large street with adequate water supply off from slums, cinema hall, wedding hall, open drain, factories, place of worship however not terribly aloof from faculty, college, industrial advanced, temple and hospital. 8. If you purchase the Flat/Building below construction, visit the work web site frequently and see the work progress. 9. You’ll not be a Vaastu believer, however purchase House or Flat or land that's Vaastu-friendly from merchandising purpose of read. 10.If anybody offers flats/sites for a less expensive rate than the prevailing market rate, there is also bound hidden issues. Thus you must be extra-ordinarily careful on windup of such a property. 11. Make sure that the developer has Clearance Certificates from government departments, viz., Electricity Board, Water and sewage Board, etc..
12. Commencement Certificate and Occupancy Certificate square measure different important documents that are necessary whereas shopping for the flats. 13. Check up the genuineness of the documents with the involved authorities in person. 14. Guarantee Agreement for sale and Sale Deed, punctually sealed, dead and registered square measure in your possession. Each ought to contain honest clauses for each the parties. 15. Just in case of flat purchase, specification of the building, as well as material used, distinction between the carpet space and also the super settled space square measure the necessary factors to come to a decision the speed. Different facilities like Club House, pool etc., also can ought to be thought-about. 16. Check whether or not there's adequate water and healthful line facility. 17. In case of measure group action make sure the validity of measure. The Documents needed for scrutiny of the Title can vary in every case. Normally the subsequent documents are needed to verify the title deeds of the property. However, supported these documents, any documents will be needed to return to conclusion. 2. Receipts against payment of site value. 7. Tax paid receipts from the city Development Authority. 8. Khatha Certificate from the bangalore Mahanagara Palike(if it comes below Corporation Revenue Jurisdiction. 9. Tax paid receipts from the bangalore Mahanagara Palike. 10. Encumbrance Certificate from the date of allotment to the date of possession. 11. Re-allotment Letter / re-conveyance Deed if property re-conveyed by the BDA. 12. Documents to prove why BDA re-conveyed the property. 12. Layout arranges Approval by the competent authority. 13. Khatha Certificate issued by the Revenue authority. 8.Endorsement from competent Authority confirming that there's no acquisition proceedings. 13. C.D.P. plan relating the world. 14. 79 (A) & (B) Certificate below Land Reforms Act. 15. Land court Order, if any. 18. Latest Tax Paid receipts. 19. Encumbrance Certificate for last thirty years. 21. Endorsement from Tahsildar that the land doesn't fall into “Grant” or “Inam” class. 22. Phani of the customer. In India, the Joint Family System is step by step disappearing. The explanation imputable for this might be several. however migration of individuals to cities in search of employment, attraction to hi-fi Life sort of Cities and therefore the gradual increase of unproductive Dependants on the Family resulting in monetary and different constraints have forced the members of the Joint Families to free themselves from its clutches and in formation of nucleus families. Net impact of these is that the Division or Partition of Joint and Ancestral Properties. Partition is that the severance of Joint standing. All that's necessary to represent a partition may be a definite and unanimous indication of intention by a Member of the Joint Family to separate himself from the Family and revel in his share severally. Such an intention could also be expressed by serving a notice on the opposite Coparceners. Thus, the Joint Family property gets split into 2 or a lot of divisions and is transferred to be control by such Coparceners as their Individual Property. Once a Property is split, every Party to the Partition derives absolute possession over the Property allotted to him and thereby the remaining persons of the Family would lose their Right over Portion of the Property thus allotted to anyone individual upon such Partition. Thus, partition may be a mixture of unharness and transfer of bound rights within the estate, except those that are easements in nature. Partition is neither a present nor a transfer of Property, however just a division of Joint Rights into many Rights. The construct of Joint Hindu Family is that every Member, who is otherwise known as as Coparcener, can acquire a right over the Joint Family Property by birth and every of them share Joint possession and delight over the whole Joint Family Property. Upon a partition, the Joint Family Properties ar divided by metes and bounds amongst its Members. However, bound Properties cannot physically be divided for obvious reasons. In bound cases, the division of a Property is taken into account to be impossible and unreasonable since such division would diminish the inherent worth or utility of the property. In such a case, Partition will still be established by giving financial compensation or by allocating another quality of equal worth to a partaker in office of his or her share within the property. 3. Partition by Court Decree. Oral Partition refers to Family Arrangement got wind of by the parties before the Panchayath or as the case could also be or before their well wishers. Oral Partition, that is commonlyually remarked us, Panchayath Palupatti, will possess Legal holiness. Generally, once the relationships amongst member’s ar cordial, this technique might be adopted. Indian Registration Act makes it obligatory for Registration of Instruments that assigns, convey or transfer right, interest and possession over the immobile Property. However, the note of Partition, that just records the event of an Oral Partition having taken place to that all the involved parties to the Partition who have basifixed their signature, doesn't need any Registration. Therefore, the need of Registration of Partition Deed depends upon the content and nature of the document at the side of the encompassing circumstances. Supreme Court has control that even a family arrangement is enough to cause a Partition among Coparceners. The members of a Joint Family might plan to appoint an intermediary for allotment of the Joint Family Property among themselves. Wherever an arbitrator is appointed as a results of Agreement between the parties, the Arbitration Award elapsed him is binding on all the Parties. So, as long because the intermediary acts among the Scope of his Authority, his Award should be accepted as valid and binding.The Partition thus established supported the Arbitration Award desires Registration. If any of the members of the Joint Family files a Petition before the Competent Court seeking Partition of the Joint Family and for grant of different of import reliefs, an equivalent shall be Adjudicated and a Decree is concerned by such Court dividing the Properties of the Joint Family by metes and bounds. This technique of Partitioning the Joint Family Property is mostly adopted once there's no Cohesion amongst its members.The Partition established supported such Decrees shall additionally need Registration. In a Partition Suit, the Competent Court might need settled the Partition of the Property within the interest of the Co-owners. 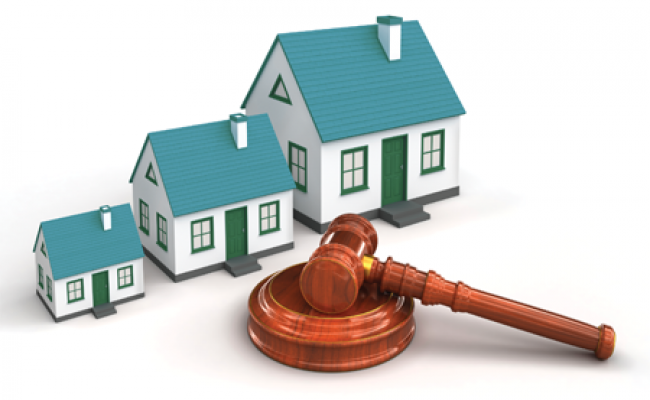 But, if it's found that the Sale of the Property and Distribution of the yield amongst the Co-owners is a lot of useful, the Court at the request of the parties, the Court might Direct Sale of the Property and Distribution of the yield amongst them. In case, a minor gets on a Partition, lesser share than what he/she is entitled to, in keeping with Law, then the partition is taken into account to be defective and therefore the minor is at liberty to urge the matter reopened on their attaining majority. Joint Family Property will be divided through a Partition Deed. Such Partition Deed desires Registration with the involved Sub-Registrar upon payment of needed stamp duty and Registration fee. It is terribly imsportant that each Partition is established punctually supported by Legal Sanction. 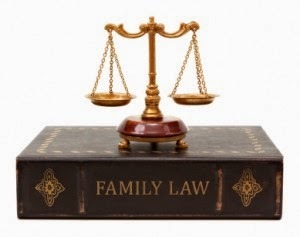 Otherwise, it should cause litigations amongst the members of the family. Buy land, they're not creating it any longer,' aforementioned author. If solely finance in land was as straightforward as spoken communication 'buy land'. Given the inaccessibility (in cities), uncertainty (of appreciation in under-developed areas) and undependability (about the title), shopping for land longer an choice for several. Today, most patrons check out designed property as their initial choice, not simply to avoid the effort of constructing a house, however conjointly attributable to straightforward handiness of finance for such comes. Even if you decide on to shop for AN flat, the land on that it's designed and your share in it play a very important role in its potential value appreciation. In fact, the registered sale deed guarantees the correct of possession to land similar to the carpet space of your apartment—an 'undivided share of land'. this is often the a part of land selected to a personal flat and registered within the name of the customer. it's noted as 'undivided' as a result of the land has no specific boundaries inside the project, however you continue to have a right thereto. So, presumptuous a four-in-one flat (all four of equal sizes) on a two,400-sq-ft plot, the undivided share are going to be 600 unit. Though this looks solely sort of a notional share of the complete project, your share of land has a very important role to play within the appreciation potential of your flat. Here's how. the worth of any flat has 2 major value elements. the primary relies on the value of construction, that is typically a similar for similar quality of construction inside a location. The second part is tied to the share of land within the flat. because the flat ages, the building part depreciates in worth, however the share of the land part appreciates. The larger the share, the higher the deal. What is Undivided Share of Land (UDS) ? 2. The proportionate share on the land, wherever the complete property is made. The Price Appreciation in land really is that the appreciation in land costs, as a result of technically the building can depreciate overtime. Its not that cement and concrete structure that is that the prime factor, however the land. have you ever ever thought what's going to happen if there's AN Earthquake and therefore the building collapses? what's in future, the government needs to amass the land for a few national project and needs to convey compensation to you? Imagine in future your building when a few years has to be redeveloped and a replacement construction should happen. At that point, the extent of land you own can matter. Note that just in case of co-operative societies, the Undivided Share of Land could be on the name of society and not on the house owner name, as a result of they're share holder within the society, that is ok. The total of all the flat house owners UDS should be capable the property land size. you must conjointly recognize that the undivided share of land are going to be proportionate to your property space. UDS (Undivided Share) is usually calculated as a percentage of the apartments super built-up area to the total super built-up area of all apartments. UDS = --------------------------------------------------------- x Total Land Area. From above, you can see that the sum of all the UDS will be equal to the total land area of the apartment. There are several instances wherever the undivided share of land has not been entirely dealt out to the house owners. Either they're not proportionate to the settled space bought by the house owners or the developers have preserved a district of it. For example, during a construction with eight flats of one,200 sq.ft. every ANd settled in an half-dozen,400 sq. ft. of plot, the undivided share of land that's to be dealt out to every flat ought to be half-dozen,400 sq.ft. divided by eight, that is 800 sq.ft. Instead, there are instances wherever the developer has transferred solely 640 sq.ft, every and preserved one,280 sq.ft. for himself. There is also several reasons for this. is also the developer contains a proposal to construct one or additional floors later. The developer might own AN flat for himself. There has been AN instance wherever the developer place up a shed on the terrace since he owns undivided share of land and set free the shed. This was later settled through the buyer forum.Buyers also are tempted to simply accept a lower share of land since stamp tax and registration charges are often reduced and cash saved. The implications of this ar several. After a amount of concerning twenty or thirty years once the building is destroyed, either out of compulsion or renovation, the house owners can have less share than what ought to are because of them. The compensation they might receive are going to be reduced since it'll be supported the extent of undivided share of land they hold. In case the developer had not purchased the property however has operated underneath the ability dead by the owner in his favour, then the undivided share of the land preserved by the developer can belong to the initial owner or his heirs. If the owner is dead and therefore the power dead by him isn't any longer valid, then the legal heirs of the deceased can acquire right over the preserved undivided share of land. When a building contains a basement and it's sold one by one for a billboard purpose, will the owner of the basement claim undivided share of the land? The owner of the basement too is entitled for AN undivided share and he should claim it. Otherwise, once the building is developed or sold , the owner of the basement cannot claim any right over the property. In1982, the bank of Travancore purchased eight out of twelve flats made within the initial And second floors of AN flat complicated and in hand an 919/1779 undivided share of the land. The twelve flats within the complicated were punctually two-handed over to the individual house owners in 1982 when receiving the due payments. after, the owner regenerate the automobile parking areas into six retailers in violation of the sanctioned arrange and applied for regularisation of the deviation. His application was rejected and conjointly the charm filed against the rejection. The city Corporation was directed to require appropriate action to get rid of unauthorised construction. Hearing the arguments on either side, the court command thatsomeone cannot retain ANy undivided share within the land unless he or she is an flat owner and in possession of the made space within the building.